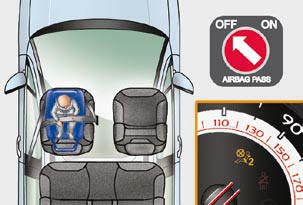 When a "rearwards-facing" child seat is installed on the front passenger seat , it is essential that the passenger airbag is deactivated. 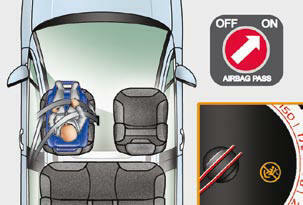 Otherwise, the child would risk being seriously injured or killed if the airbag were to infl ate. 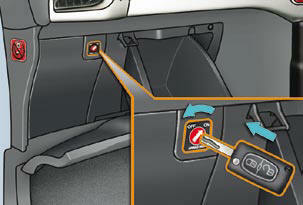 * The rules for transporting children are specifi c to each country. Refer to the current legislation in your country. 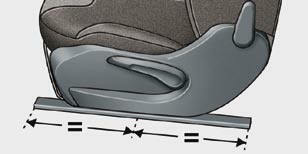 When a "forwards-facing" child seat is installed on the front passenger seat , adjust the vehicle's seat to the intermediate longitudinal position with the seat back upright and leave the passenger airbag activated.